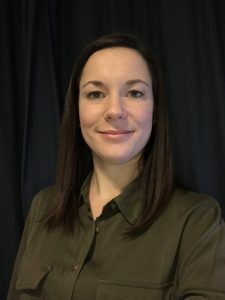 Dr. Cindy Gauthier is the recipient of The Rick and Amanda Hansen Fellowship, in Partnership with the Ontario Neurotrauma Foundation and the Rick Hansen Institute. Her research will focus on the use of functional electrical stimulation to improve balance and hand/arm function in people with SCI. The research project entitled, “Assessment of orthotic and therapeutic effects of functional electrical stimulation during meaningful functional tasks training program in people with spinal cord injury” will be conducted under the mentorship of Dr. Kristin Musselman. Dr. Gauthier, a physical therapist who graduated from the Université de Montréal, has extensive experience in spinal cord injury research. She has published 11 articles in peer-reviewed scientific journals and delivered 20 scientific presentations. We wish her success in her postdoctoral research in the Department of Physical Therapy at the University of Toronto.